The building was remodeled in 1950. 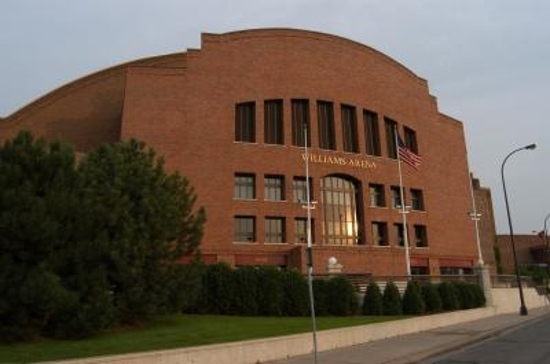 Renamed in honor of Dr. Henry L. Williams, U of M football coach from 1900 to 1921, it was divided into a hockey arena on one end and a basketball arena with a seating capacity of 18,025 on the other. From 1950 until 1971, it had the largest capacity of any collegiate basketball arena in the country. The capacity has been reduced to 14,625 in recent years due to renovation, fire-code restrictions and handicapped-seating construction. 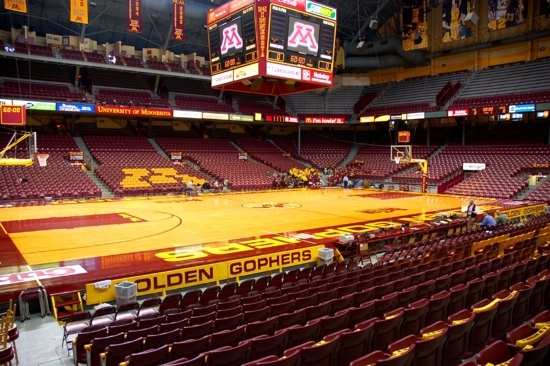 Following the 1991-92 season, the renovation of Williams Arena began as part of a $41 million project for on-campus sports facilities. The first phase was completed in time for the 1992-93 season opener. The Golden Gophers’ locker room, training room, weight facilities, spacious offices and team meeting rooms were updated. The locker room was named in honor of former Golden Gopher coach Ozzie Cowles through the more than $100,000 in gifts from many of his former players. 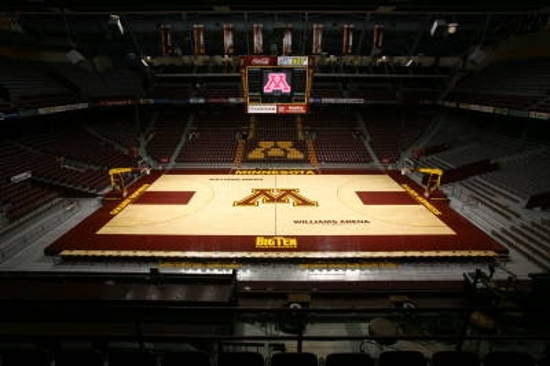 Much to GopherHole Legend's Gopher4Life's chagrin, Williams Arena features an unusual raised floor design. The court surface is raised above the ground approximately two feet so that players' benches, officials tables, etc., are actually below the court. The same goes for fans with the first row looking at players at about knee-level. Normally, other than the officials and those players actively playing, only head coaches are allowed to be on the court itself. The raised floor is one of only a few remaining examples left and contributes significantly to the historic aura of the 80 year-old arena. This served as the inspiration for the NCAA Men's Division I Basketball Championship to host stadiums for their Final Four as of 2009 to have the floor about three feet off the stadium floor as part of an increased capacity to a minimum of 70,000. 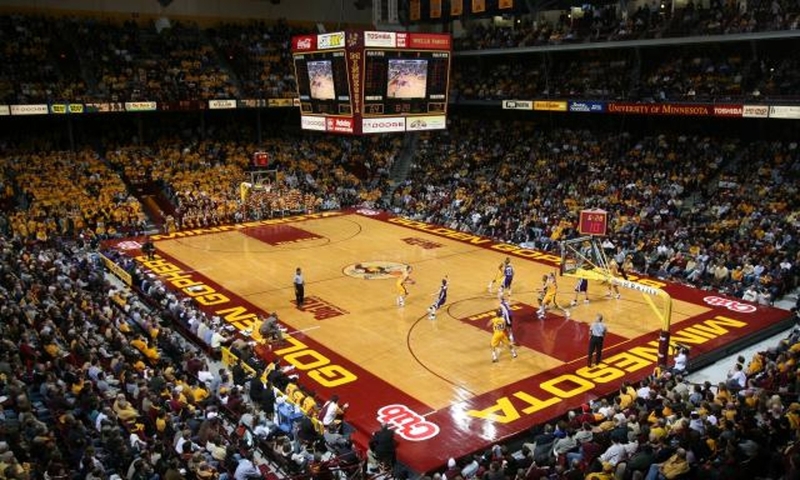 The floor in Williams Arena recently underwent a replacement. PCL Construction began work on May 11, 2009, replacing the original playing surface from 1928 with a new floor along with new basketball goals. This was the first major upgrade to the facility since a renovation occurred in the early 1990s. Memorial Gymnasium at Vanderbilt University and Hinkle Fieldhouse in Indianapolis are two other existing arenas with a raised floor. Robertson Memorial Field House at Bradley University, since demolished, also used a raised floor.